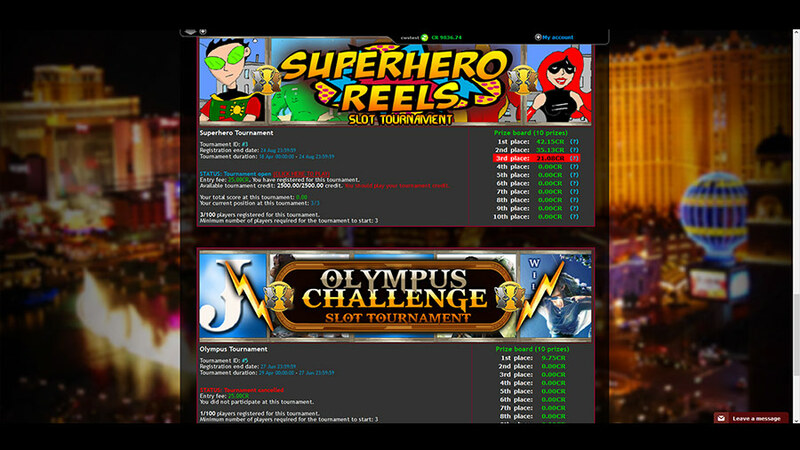 Slot tournaments software add-on has been made available in our catalogue of products, starting June 2014. Slot tournaments are what some people like to call, "the future of gambling", because the competition is moved from "player vs. casino", to "player vs. player" this way guaranteeing a prize to every player that reaches the podium. In slot tournaments, any participating player can win the grand prize, and the table can be turned at any moment, making this a truly dramatic competition. With our slot tournaments, you can offer your players the opportunity to compete against each other, by playing their tournament credit in order to achieve the highest score possible. This game mode is rewarding and very fun to play and it was meant to add a level of competition between users. Players that enjoy spinning the reels will now compete to become the best, because winning a tournament is not just about money, but it is a matter of reputation and fame as well. Many players will experience a better satisfaction when winning a slot tournament, rather than winning a jackpot. Believe it or not, there are many people driven by fame and not just money. Knowing that they will be recognized as the best slot machine players is what keeps them in the game. Before joining a slot tournament, the players will know the cost of participating and the possible wins, by taking a look at the prize pools. This way, they will decide if it's worth it for them to pay the entry fee and participate or not. In tournaments, the bonus and jackpots will be disabled, but the freespins will remain enabled. Players can trigger more freespins, this way maximizing their chance of reaching the highest score. The top players that will be able to obtain the highest scores will be rewarded accordingly to the prizes of the tournament. How does the slot tournaments software work? 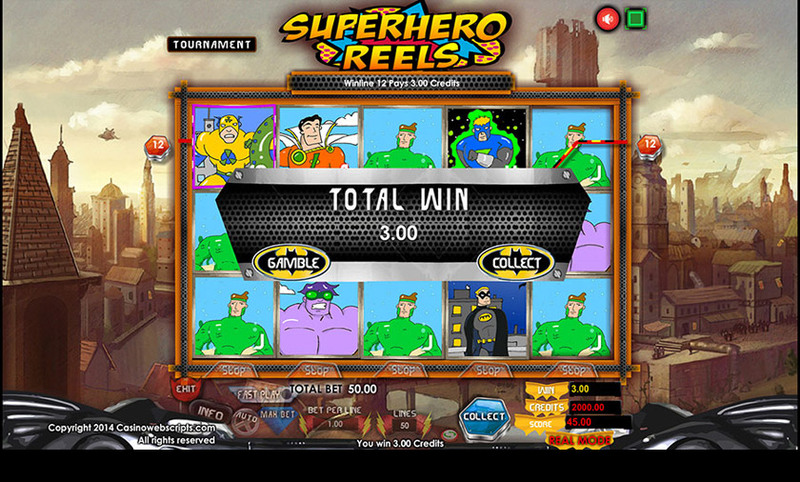 The slot tournaments software enables the casino operator to use any of the slot games connected to his casino, for starting a slot tournament competition. Using the administrator panel, the operator can edit options such as the game used for the tournament, the duration of the tournament, prize contributions, entry fees, starting tournament credit, minimum and maximum number of tickets available and more. 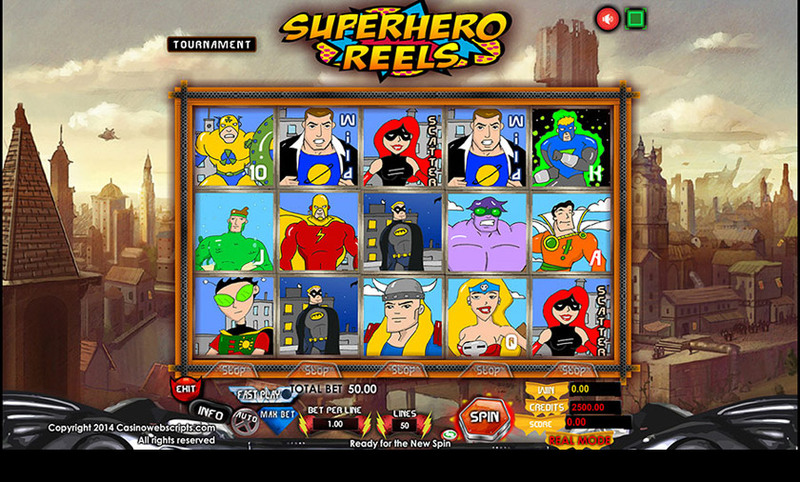 After setting up the tournament, it will appear on the casino page and from there players can buy tickets. Each ticket purchase will contribute to the winning prize pools, while the casino will keep a small percentage, between 1-5%. 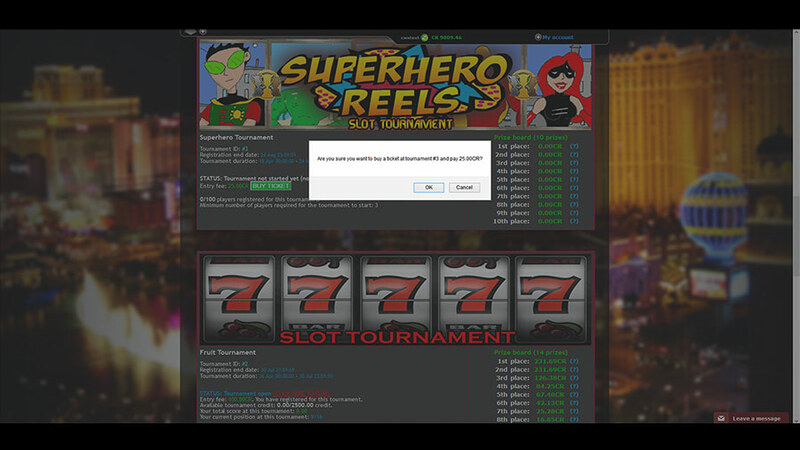 This can be configured from the administrator panel of the slot tournaments software. Players consider that the best tournaments are those that give back all or at least 95% of all entry fees, in the form of prizes. When the minimum number of players has been reached, the tournament will start and players can start playing. 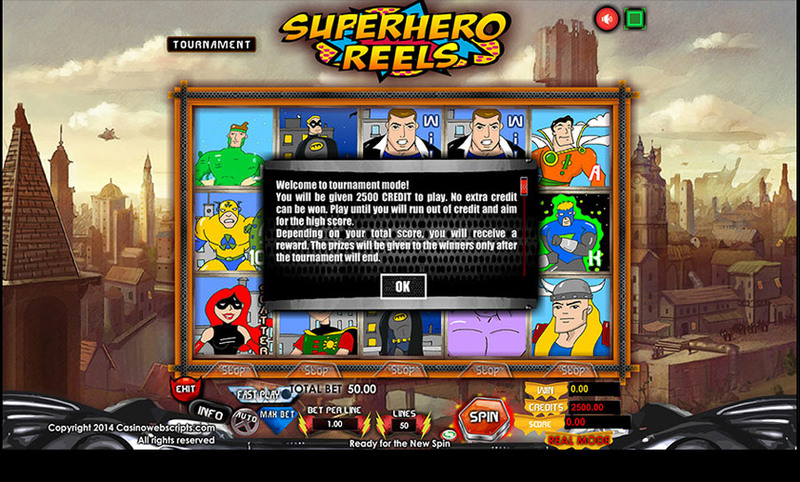 Each player is given a certain number of credits, for example 2500, which must be used to hit the highest possible score. Tournament scores and the podium can be viewed live on the casino tournaments page. Usually each tournament can last from 1 day to a couple of weeks. After the tournament has come to an end, the winnings will be distributed to the top ten players, based on their total tournament score, and no more tickets can be purchased. If two or more players share the same tournament score, their prizes will be split. We recommend to each casino operator that uses our slot tournaments software to give free tickets to high-rollers and to previous tournament winners. This way, players should be even more motivated to wager at your casino and to win at slot tournaments. It is also important to create slot tournaments with low entry fees, for players that just want to see how this game mode works. Tournaments with high entry fees should not miss from your casino, because they will represent the joy of high-rollers who will be aiming for all the glory and prizes. 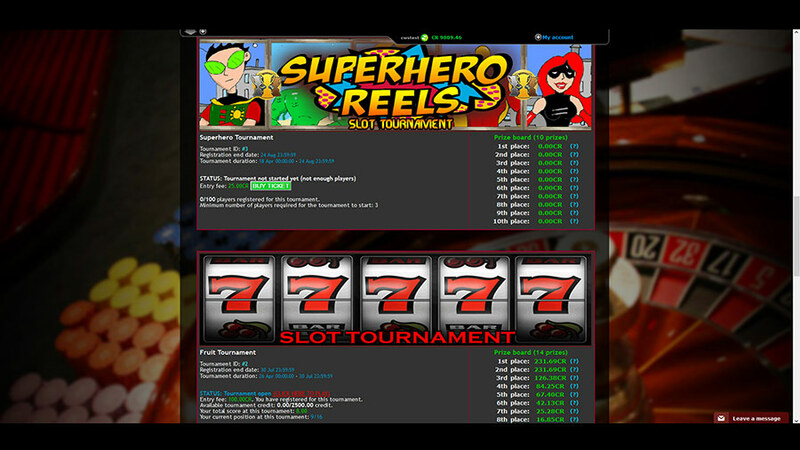 The slot tournaments software can be used with any type of casino, including BitCoin casinos. 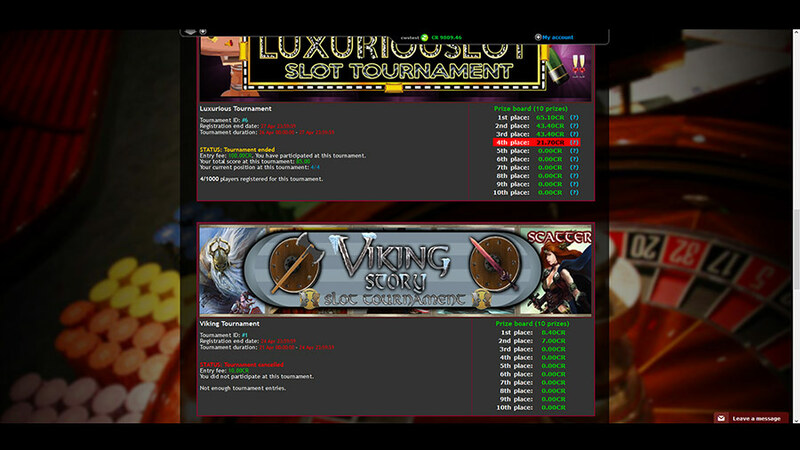 The price for the slot tournaments software can be found in the addons page. This is an add-on for the casino management platform. After installation, this feature will enable you, the casino operator, to start a slot tournament using any five-reel slot game that you have bought from us or that you will buy in the future. To make a purchase, please contact us ! 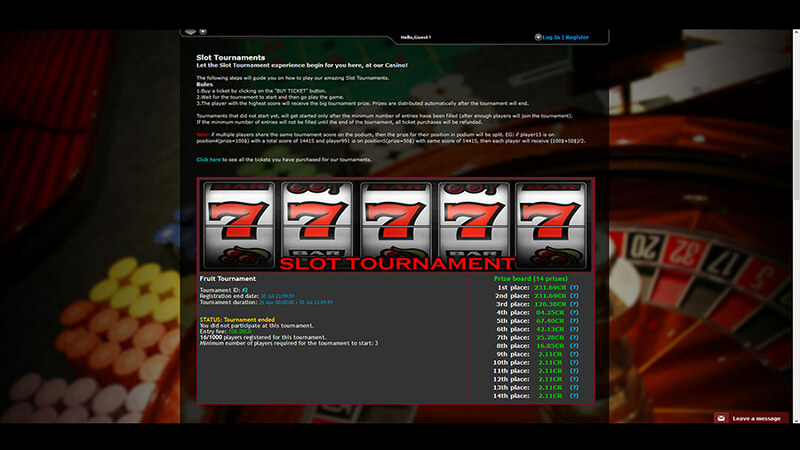 Demo of the slot tournaments functionality. To check the functionality of our slot tournaments, please go to www.casino-del-mundo.com and click on the "Tournaments" tab. Additionally you can check the pictures below by clicking on them.